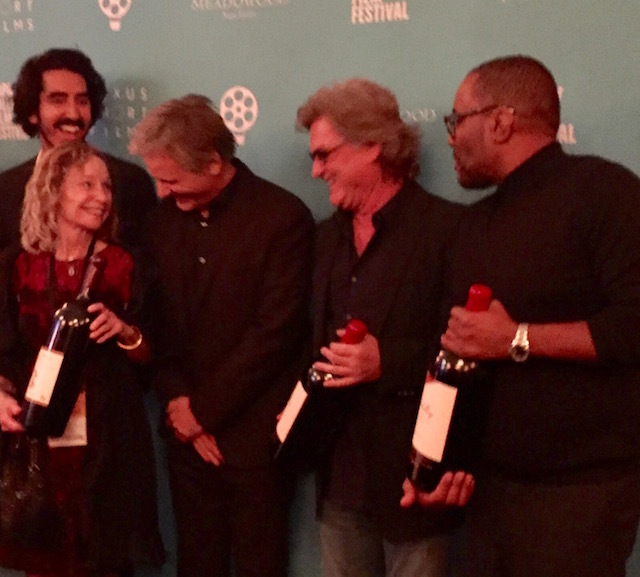 Earlier this month, the 6th annual Napa Valley Film Festival (NVFF) kicked off a week of 120 prestigious screenings with celebrities, culinary demonstrations, wine tastings, winery dinners, industry panels, and parties in 13 venues up down the picturesque four villages of Napa Valley--Napa, Yountville, St. Helena, and Calistoga. Additionally, in fulfilling its mission as a non-profit organization, the Festival brought hundreds of Napa County students to the Lincoln Theater to screenings of documentaries to inspire them about the art of independent filmmaking. 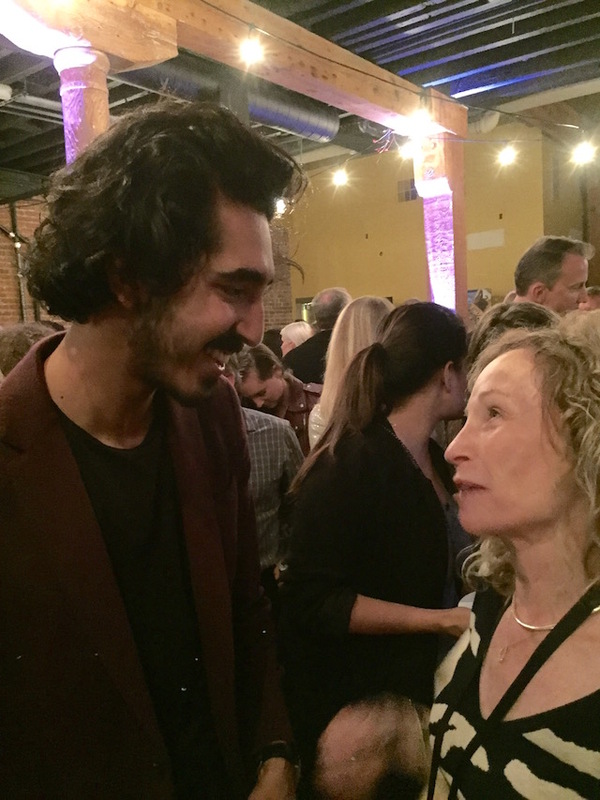 On opening night, Lion, starring Dev Patel (Slumdog Millionaire, the 2 Best Exotic Marigold Hotel films) and starring Nicole Kidman, screened at the Napa's Uptown Theater. Based on Saroo Brierley's best selling memoir, Lion tells the story of an Indian (convincingly played by Patel), living in Australia with his adoptive parents (the mom being Nicole Kidman), who, as an adult, yearns to find his brother and biological mother, from whom he was separated at 5 years old in a train station in India; and Patel's character returns to India to do just that. In the Q and A following the film, Patel explained that he, himself, traveled back to India with Saroo, the Indian man he portrayed in the film, to meet the real biological mother. After the film, Ed and I chatted with Patel, a charming and gracious young actor at the Festival's opening night party at Michael Chiarello's Ottimo, which is somewhat like Eataly in New York City, with food, wine and coffee stations. The next morning, Ed headed over to a major sponsor of NVFF, Meadowood, to participate on a panel for the Artists-in-Residence Master Classes. For the fifth consecutive year, the directors of the twenty films in the Narrative Features and Documentary Features Competitions stayed at the luxury Meadowood resort. (And were they thrilled about that!) Meadowood also sponsors the $10,000 in cash prizes presented at Saturday evening's Awards Ceremony to the filmmakers whose films are chosen by the NVFF jury as Best Narrative Feature (won by Heaven's Floor, directed by Lori Stoll), and to best documentary feature (won by Big Sonia, directed by Leah Worshawski). While Ed was on the panel, I headed over to the oldest movie theater in the U.S., St. Helena's Cameo Theater, for a screening of Elle, starring French film star Isabelle Huppert and directed by provocative and controversial Paul Verhoeven (Basic Instinct). The film was disturbing, strange and so interesting that I couldn't stop thinking about it, and later that day a light bulb went on over my head and I finally thought I got it. Maybe. On Thursday, I attended Variety's 10 to Taste at the Napa Riverfront, where innovative Bay Area student chefs showcased their fresh spin on dishes inspired by iconic film scenes. Their dishes were paired with 10 wines from Terlato Family Wineries. Just following, restauranteur (Cafeteria in N.Y.C.) and T.V. star (The Food Network) Chef Tyler Florence headed up a panel, which also included actress Madelaine Zima, (Californication) to discuss the dishes and their experiences in the culinary world. That evening, I went back to the Lincoln Theater for the Celebrity Tribute Awards, where Natalie Morales (Access Hollywood), interviewed filmmmaker Lee Daniels (Precious, Lee Daniels The Butler), Actor Kurt Russell (Overboard, Backdraft, Deepwater Horizon), Actor Viggo Mortensen (Eastern Promises, Lord of the Rings, Captain Fantastic), Actor Dev Patel (Slumdog Millionaire, Lion), Actors Glen Powell and Zoey Deutch, who were honored as up-and-coming stars. After the awards were presented (big bottles of wine), we had a photo shoot with the stars and a dinner there under a tent with a delicious meal catered by Meadowood. 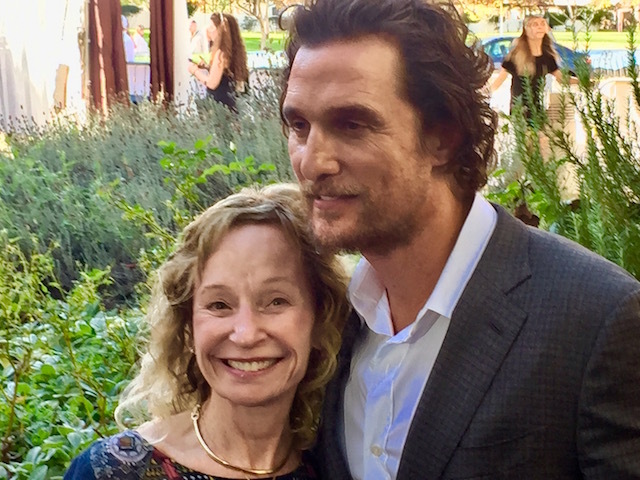 I sat at a table with Festival sponsor Peter Mondavi, Jr. and his wife Katie and drank some of their great Reserve Charles Krug Cabernet Sauvignon, and chatted with Viggo Mortensen. On Friday night, Ed and I attended a screening of Mortensen's Captain Fantastic, which was fantastic! Then we headed over to Meadowood for a wonderful dinner in a tent on the croquet court, where we sat next to Kurt Russell. I was hoping his partner actress Goldie Hawn would have been there, but their son Wyatt Russell (22 Jump Street) was also at our table. Saturday night we attended the Festival Gala at the Lincoln Theater and tasted some of Bob Hurley's decadent wild boar over polenta and Model Bakery's duck confit appetizers. Yummy. Sunday night--closing night--we went to a screening of Miss Sloan, starring fabulous actress Jessica Chastain, who plays a political lobbyist in Washington D.C. and, as the director John Madden (Shakespear in Love, The Best Exotic Marigold Hotel) said in the Q and A, this was a great female role, not a housewife, mother or sister. Just a strong woman. Although we had chosen to see Miss Sloan, the other film screening at the same time was Pisco Punch. After our screening, we headed to the Festival Wrap Party on the Napa Riverfront, where we sampled the delicious pisco punch. And sampled it again. 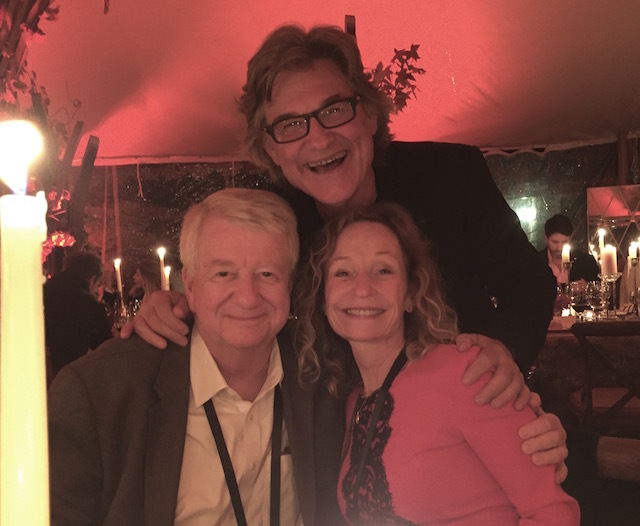 Ed and I are founding patrons of and are on the Board of Directors of the Festival, so have the opportunity to experience the best it has to offer. But many other Patrons shared our favorite screenings and events. We urge you become Patrons too. Tickets are already on sale for 2017. Save the date: November 8-12, 2017.